Donald Trump’s decision to recognise Jerusalem as the capital of Israel has attracted a great deal of international wrath, as well as riots and official condemnations. If you laid all the learned opinion pieces on this subject end-to-end they would go all the way round Trump’s mouth, and if they continue multiplying exponentially for the next several months they will go all the way round his head. But that is but the beginning of a discussion that will have far reaching implications, and not only because the international community considers it illegal and untimely, to say the least. One of the main points made by commentators is that this was a very sudden move. However, some could predict it due to Trump’s cosy relationship with the Israeli lobby and defence contractors. Though typical of Trump himself, this action is not typical of US foreign policy, at least till now when the 14 out of 15 members of the UN Security Council took exception. As a general rule we are usually given a drip-feed-of-propaganda before any action is taken. For example, the concept of “The Axis of Evil” was trailed long before individual countries began getting sucked into it and became subject of US interventions. Even in the case of North Korea, which presents an immediate nuclear threat, Trump is making familiar noises we have heard sporadically for over 60 years, a necessary prelude to whatever action he intends to take. So why did Trump wake up one morning and decide to overturn the Camp David Accords of 1978, which established that the legal status of Jerusalem would be decided between the Israeli and Palestinian peoples, and only then recognised by the US? Was it just a whim induced by drinking too many diet cokes? Or has there been a long build up to this decision which has somehow escaped our notice, despite the best efforts of the US State Department to colonise every media outlet on earth? There has indeed been a long build up to this decision. But it isn’t the culmination of a long campaign of propaganda designed to cow other states, and public opinion, into supporting actions the US had wanted to take long before. This decision has been forced on the US by developments elsewhere – but it was the US which initiated those developments, and is now trying to run away from their consequences, whatever the rest of the world has to put up with in the process. I don’t know how many people read the Jordan Times outside Jordan itself. But the December 13th edition demonstrates, perhaps unwittingly, what is really going on in the Middle East. As you would expect, this newspaper offers a mixture of high octane political pieces and more humdrum local news stories you would find anywhere. Videos about the World Science Forum coming to Jordan, and the expected date harvest, appear alongside pieces about Yemen’s ports and airports reopening and Queen Rania calling for a global response to the refugee crisis. But the incriminating article is this one. This states that Syria will soon follow Iraq in declaring victory over Daesh, or ISIS or whatever you want to call it. Apparently this group no longer controls any land at all in Iraq, and only a few isolated pockets in Syria, despite having established its own “caliphate” in the area as a separate radical Muslim state. The Jordan Times article derives from a news agency, AFP or Agencie France Presse. As you would expect, this French agency’s wires are also widely used in the West – for example, they are very familiar to readers of the International Herald Tribune, whose every major story seems to come from a named wire service. So why has it not appeared on the front pages of Western newspapers? Surely this important victory over the greatest terrorist threat known today should be being widely celebrated? As we all know, Daesh has been funded, protected, armed and trained by the US and its allies. A generation ago the US decided that it was in its strategic interest to create a new state of Kurdistan, which would encompass parts of Iraq, Syria and Turkey. Daesh and its caliphate, and the ongoing diplomatic rows with Turkey and attempts to undermine it by giving asylum to Gulen, were a means of achieving that. This is why ISIS and its fellow travellers have been presented as unstoppable forces, despite being led by people such as Tatarkhan Baratishvili, who had been invalided out of the Georgian Army as unfit. If the Iraqi government has retaken all the land it lost to ISIS the Kurdistan project is dead in the water. The US claims to be fighting ISIS in Syria, but claims above all to be fighting the Syrian government and trying to remove it. If the Syrian government has destroyed ISIS as a landholding force in its country that is a victory for Syria, but a defeat for all the countries who oppose it, including the US, as it merely strengthens the position of the government they are trying to remove. It was the US which made such a big issue out of the Syrian civil war, just as it did with the “freedom fight” in Ukraine. Wars afflict many parts of the world, but many of these conflicts do not garner anything like the international attention the US demands for the ones it is interested in. For example, while the Vietnam War was in progress it featured in the global media daily, while twenty years of contemporaneous war in Laos, right next door, were rarely mentioned unless in a specifically Vietnamese context – indeed, it is known as “the Secret War” to this day. The US is still haunted by Vietnam, a war it lost in public opinion long before the North Vietnamese took Saigon. Defeat in Syria will open painful domestic wounds in a country very much divided by the election of Trump and what he stands for. It will also have serious foreign policy repercussions, as the US will no longer be able to play global policeman if it loses the fights it gets involved in, and its position will not be seen to be automatically right by its allies, even on the occasions when it is. So the defeat of ISIS, which should be a major achievement of the War on Terror we have witnessed for the last 15 years, cannot be celebrated because it is a defeat of the US itself, which it cannot admit. Furthermore, the White House clearly thinks this defeat is a fact which is not going to go away. Trump is therefore left with two choices: start another war elsewhere which the public will support, and which he will win, or distract attention by doing something outrageous. The first isn’t an option at present, so Trump has recognised Jerusalem as the capital of Israel and told us this is a “move for peace”. But this begs the question, the PEACE of whom, exactly? Taking this second option has given Trump time to create the first option, in the traditional US way. His supporters may well be disappointed that the Syrian conflict isn’t affecting Israel more than it is. 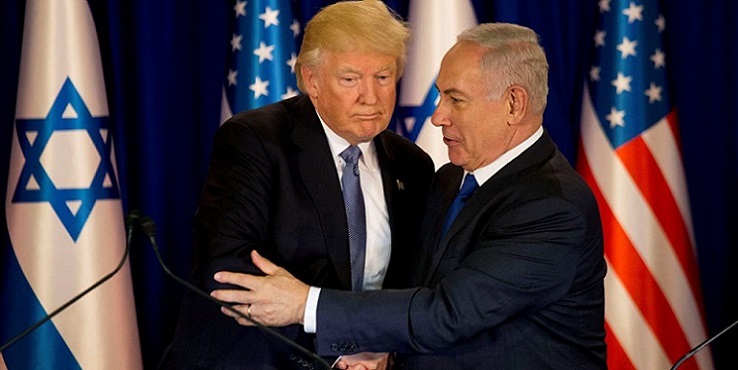 By causing more trouble in the region Trump gives himself the option of persuading the world that the US must intervene to protect Israel from the violence his own decision has unleashed – a move which many in the powerful US Jewish lobby would support, and would be presented to Arab governments as necessary to protect their own states from the terrorist elements amongst their own people. So far the protests against the decision have been relatively restrained, perhaps for this reason. Palestinians themselves don’t want their cause automatically associated with terrorism and violence, so the Arab world is happier using diplomatic channels to vent its displeasure, at present. But what happens then? Are we to believe that the Arab world as a whole will line up on the same side, as they have repeatedly failed to do in the past? One of the reasons Israel has had much more diplomatic success than the Arab world is that you know what you are getting. Plonked in the middle of hostile neighbours by dispossessing the pre-World War Two Palestinian State, it pursues exactly the passive-aggressive policy you would expect it to. Whatever the complexion of its government, the nation as a whole has so many red lines that all the policy options are very similar. It also has one government, not a coalition of several claiming to represent diverse opinion. Despite the best efforts of Saudi Arabia, Egypt and Syria over the years, either separately or together, no one country has emerged as the unquestioned leader of the Arab world. 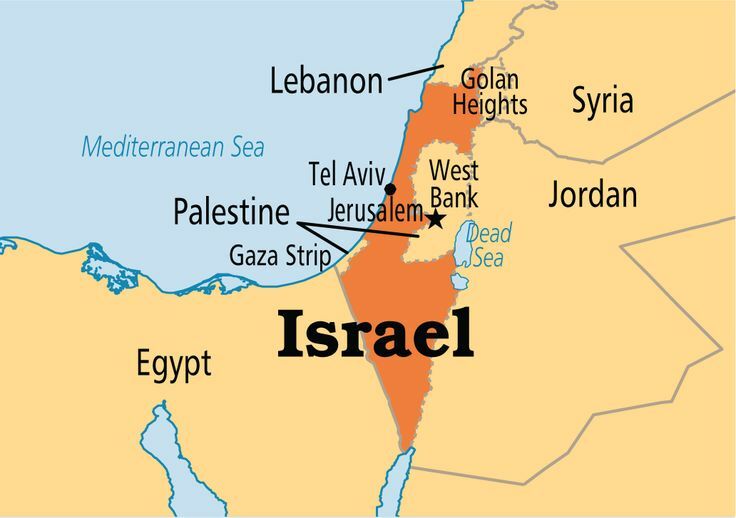 Therefore the diplomatic counterpart to Israel is the Arab League. This body is frequently described as “toothless,” and despite recent achievements it is likely to remain so. The “Arab position” on any question is usually a divided one [at least till now] … and even when it isn’t it is deeply complicated, with any agreement on policy undermined by divisions on methods and personnel. The Arab world is not trying to unite against Trump’s decision because the Palestinian Authority has its own friends and enemies within it. The established Arab countries speak out against terrorist organisations, but the Arab groups who feel more dispossessed, or are protected by such groups, support them. The US is hoping that the protests against the Jerusalem decision can be linked with terrorists and their supporters rather than the established countries. This would give the US both the option to intervene in support of Israel and to make a grand gesture, by declaring that Arab countries now regarded as terror sponsors, such as Saudi Arabia, are actually friends under the same threat of terrorism the West is. If the ruse is successful though, the US won’t want or need yet another war. If the defeat of ISIS and the US can be ignored long enough, it might be possible to turn those situations around. But this will only happen if the US abandons its plans to create a Kurdish state, and as yet there is no sign that it has. The best guarantor of regional peace at present is the Russian Federation. Whatever the crimes of the Assad regime and the post-war Iraqi pseudo-regime, and there have been many, they are still the legitimate governments of their countries. If the US can’t beat them, it can at least put pressure on them through Russia, which the US branded as their greatest protector when it suited it to do so. But as with the idea of abandoning the Kurdish state, the problem is energy resources. Working with Russia to achieve US goals would also mean not trying to disrupt Russian pipeline projects. That won’t happen either, leaving the US and Russia to slug it out for influence in each country, calling each other names. This is still preferable to war for both sides, but will probably simply postpone conflict, not eradicate the possibility of it. There does not seem to be any way the US can profit from the defeat of Daesh unless it completely reverses its policy, rather than creating distractions which cost yet more lives. People are saying that Trump’s decision to recognise Jerusalem as capital of Israel was a campaign promise he has made good on. This is true, but he also promised to end or scale back US involvement in expensive foreign wars. That really would be a change of policy, driven by reasons his domestic and international audience can understand, as the likelihood of any country actually invading the US is very small. But how is inflaming the Middle East over Jerusalem going to help him achieve that goal? The US has experienced far less terrorism than most countries. There have been some well-publicised incidents, but in general it has got off lightly. The developed countries where it has done much more damage, such as the UK, Italy, Russia and former West Germany, did not conduct a war on terror or publicly ask the US to do so for them. Why? Because they knew it would only breed more terrorism, and provoke their existing enemies into backing the terrorists. The War on Terror announced by George W. Bush has done exactly what was feared. There are more alleged terrorist incidents now than there were before it started. Some of these are clearly false flags perpetrated by the West itself, while others are genuine attacks made by groups supported by one power or another, who the West have happily recruited when it suits them. Not only has the War on Terror failed, it was designed to fail. It has served a purpose, but now the US is discovering it can’t just shut the programme down and walk away. The US still needs terrorism to cover its own mistakes as well as to further its policy goals. It is happy to create more of it, by recognising Jerusalem as the capital of Israel, rather than face what has happened to its Kurdish project—a convenient distraction, especially in the light of so many failures. It is the defeat of that project, via the defeat of Daesh, which has created the distraction and provocation of the Jerusalem decision. It is designed to manufacture a NEW terror threat which will get the “moderate” Arab countries onside and also bolster popular support for poor little Israel. Trump has not acted impulsively but has bought the US time. He has refocused world attention from the humiliation of the Daesh defeat, and US involvement in Daesh’s rise in the first place. It is even conceivable that just “maybe” the Israeli-Palestinian situation will now get so serious that the Syrian and Iraqi governments will choose to forget everything the US has done in their countries in recent years, and want to protect themselves from the latest terrorist threat the US has turned loose. But if I were one of the Palestinians and Arab moderates offended by Trump’s decision, I wouldn’t want to hold my breath until something good came out of it.